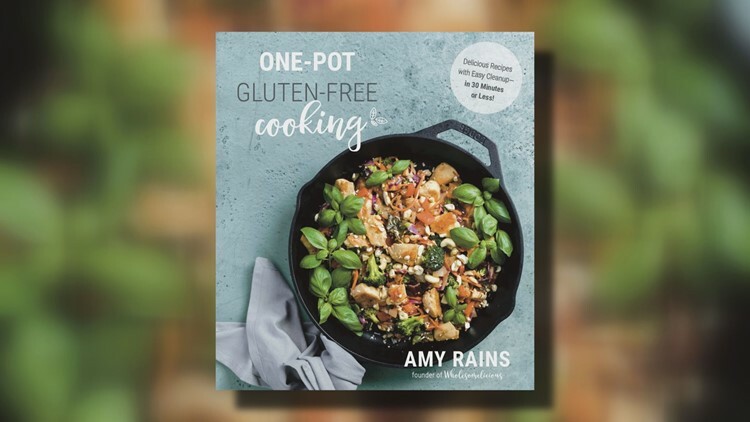 In her new cookbook, ONE-POT GLUTEN FREE COOKING, nutritionist, blogger and author Amy Rains shares simple, gluten-free, 30 minute meals her entire family loves. It's possible to eat healthy, no matter how hectic the schedule. "This book is full of recipes that are naturally gluten-free using nature's best vegetables, herbs and delicious spices. As a super busy mom who spends most evenings at the ball fields, I have made it my mission to create nutritious and delicious meals for my family." Amy Rains is the founder of Wholesomelicious, a food blog for people who want to eat well on a busy schedule. Below is Amy's recipe for Spicy Chicken Zoodle Soup. "This is a great healthy recipe to make during the cold months! A fun and healthy twist on Chicken Noodle Soup. Perfect for football season, pleasing for a crowd. It happens to be one of my family’s favorites, and one I make it all the time. My 8 year old and 11 year old love it, and they don’t even miss the pasta noodles." "Zippy—that’s how I describe this yummy soup. 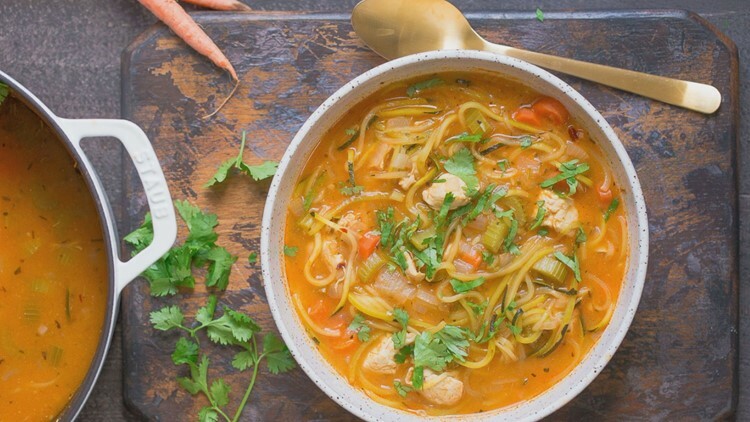 Chicken noodle soup has always been a favorite, and with the addition of zucchini noodles and buffalo hot sauce, I elevated this soup to a whole new level! It's low carb and just downright delicious." Heat a large stock pot to medium heat. Once hot, add the oil and sauté the onion for 3 minutes. Place the chicken, salt and pepper into the pot. Sauté with the onion for another 3 to 4 minutes. Add the celery, carrots, chicken broth and hot sauce. Bring to a boil, reduce the heat to a simmer and add the zucchini noodles. Let simmer for another 5 to 7 minutes before serving. Garnish with fresh cilantro, if using. Note: This recipe is pretty spicy with ½ cup (120 ml) of hot sauce. Start with ¼ cup (60 ml) and adjust to taste.